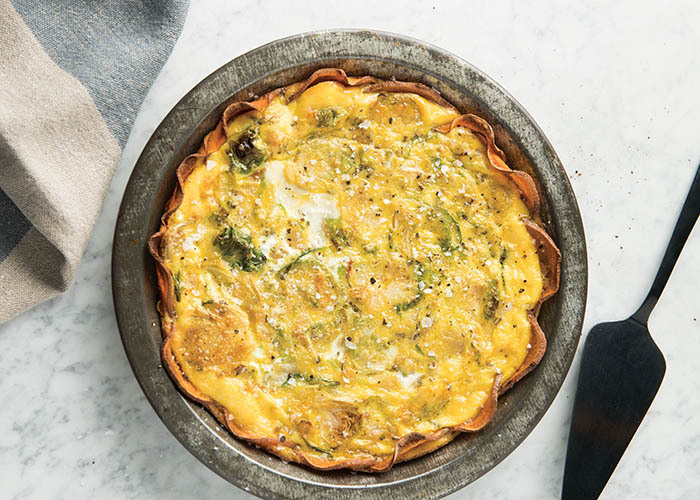 A formidable breakfast, lunch, or dinner, the quiche is a savory, pastry-crust dish that originated in France but has been adapted by many other cuisines. When I don’t know what to serve for guests, I always default to a fluffy quiche with a big green salad on the side. 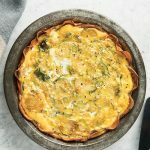 My quiches are totally pastry-less; I use thinly sliced sweet potatoes that bake until tender but crispy, adding a slightly sweet flavor, striking orange color, and whole host of nutrients. 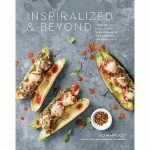 Reprinted from Inspiralized and Beyond. Copyright © 2018 by Alissandra Maffucci. Photographs copyright © 2018 by Evan Sung. 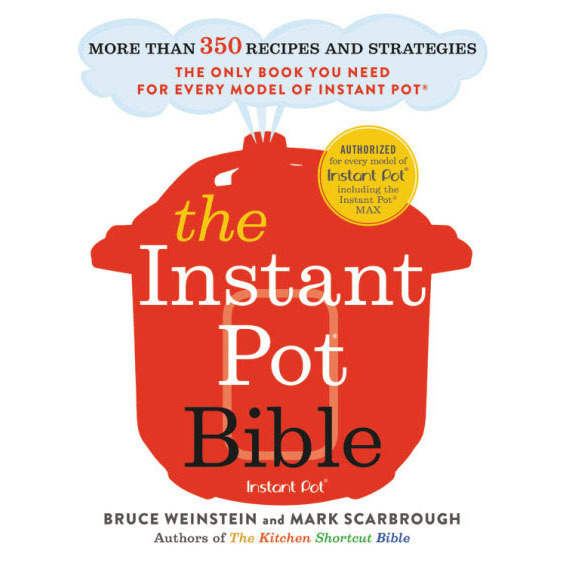 Published by Clarkson Potter/Publishers, an imprint of Penguin Random House, LLC. To make this dish spiralized, slice the sweet potato halfway through lengthwise, being careful not to pierce through the center. Spiralize the sweet potato using Blade A to yield chip-like slices. Preheat the oven to 350 degrees. Grease a 9-inch pie plate with cooking spray. Arrange the sweet potato slices in an overlapping pattern so they cover the bottom and sides of the prepared pie plate; slice the potatoes in half as needed. (The pieces will shrink as they bake so the slices can extend above the side of the pan.) Spray the sweet potatoes with more cooking spray and season lightly with salt and pepper. Bake the sweet potato crust for 20 minutes, until tender. Let cool for 5 minutes. Keep the oven on. Meanwhile, in a medium bowl, whisk together the eggs, almond milk, cheese, a large pinch of salt, and a few grinds of pepper. Heat the olive oil in a large skillet over medium-high heat. When the oil is shimmering, add the onion, season with salt and pepper, and cook, stirring, until translucent, about 4 minutes. Add the garlic and cook until fragrant, about 30 seconds. Add the Brussels sprouts and a pinch each of salt and pepper and cook until soft, about 4 minutes. Stir in the rosemary and season with more salt and pepper as needed. Spread the Brussels sprouts mixture over the sweet potato crust, and then pour the egg mixture on top. Bake for 30 to 35 minutes, until the eggs puff up and are set in the center. Remove the quiche from the oven and let cool for 5 minutes before slicing. Serve hot.